At LeClaire Olive Oil Co., we like to have fun pairing our fresh 100% Extra Virgin Olive Oils and Flavored Oils with our spectacular Aged Balsamic Vinegars. As you might have experienced in our store or even your experimentation at home, the perfect marrying of an Oil and Vinegar can make the flavors just explode! “Tuscan Lemons”: Our Tuscan Herb Olive Oil with our Sicilian Lemon Balsamic is herby, sweet and zesty at the same time! “Wild Mushroom”: Perfect for any mushroom lover, our Wild Mushroom and Sage Olive Oil paired with our Sicilian White Balsamic. Just incredible. “Tropical Paradise”: You won’t believe you’re not in the tropics with this unusual combination of Pineapple White Balsamic and Blood Orange Olive Oil. “The Fruits of Sicily”: A true citrus experience with our Blood Orange Olive Oil and Tangerine Balsamic Vinegar. “The Strawberry Daiquiri”: A fun pairing using our Persian Lime Olive Oil with our Strawberry Balsamic Vinegar. The sweet tart combination of tastes truly mimics the taste of a Strawberry Daiquiri. “Fresh Limes”: For an exceptionally fresh lime explosion, combine our Persian Lime Olive Oil with our Premium White Balsamic Vinegar. “Deep Mushrooms”: A zesty sweet mushroom sensation by combining our Porcini Mushroom Olive Oil with our Fig Balsamic Vinegar. “Mysteriously Sweet Citrus”: A mysteriously sweet combination keeps everyone guessing. Our Meyer Lemon Olive Oil combined with our Pomegranate Balsamic Vinegar. Unbelievable! “Lemon Drop”: The name says it all, it truly tastes just like a lemon drop piece of candy. This fresh combination uses our Meyer Lemon Olive Oil and our Premium White Balsamic Vinegar. “Citrus Lover”: Another great citrus experience pairing our Meyer Lemon Olive Oil with our Tangerine Balsamic Vinegar. “Opa”: Your simplest foundation for a traditional Greek vinaigrette, our Meyer Lemon Olive Oil with our Oregano White Balsamic Vinegar. “The Herbal Fig”: A sweet-herbal combination of our Basil Olive Oil with our Fig Balsamic Vinegar. For an ever sweeter combination, try the Basil with our Traditional Balsamic Vinegar. “Blue-Blood”: A wonderfully unique combination of Blood Orange Olive Oil with our Blueberry Balsamic Vinegar leaves your taste buds wanting more! “Lemon-Up”: A three-way combination of Meyer Lemon Olive Oil, Persian Lime Olive Oil and Premium White Balsamic Vinegar...a tasty treat similar to that of Lemon-Lime Soda. “Blueberry Zest”: A unique pairing of our Blueberry Balsamic and our sweet and zesty Meyer Lemon Olive Oil. “More Peachy”: The Meyer Lemon Olive Oil brings out the entire peach flavor from the Peach White Balsamic. “Citrus Pineapple”: Our pairing of Meyer Lemon Olive Oil and our Pineapple White Balsamic Vinegar brings out all pineapple with a touch of citrus flair. “Asian Delight”: Our Roasted Sesame Oil with our Honey Ginger Balsamic Vinegar creates an incredible Asian Vinaigrette. “Citrus Cinnamon”: A fun combination of Persian Lime Olive Oil with our Cinnamon Pear Balsamic Vinegar. “Cinnamon Blood”: Delicious combination of our Blood Orange Olive Oil with our Cinnamon Pear Balsamic - sweet, spicy and citrusy. Superb vinaigrette. “Sweet Limes”: The Persian Lime Olive Oil paired with our Pineapple White Balsamic Vinegar makes the limes ever so sweet! “Lemon Lime”: The name says it all, our Persian Lime Olive Oil with our Sicilian Lemon White Balsamic. “Sweet Cherries”: Our Blood Orange Olive Oil with our Black Cherry Balsamic Vinegar makes the cherries ever so sweet with just a hint of orange at the end. “Subtle Cherries”: For a more subtle cherry sensation, pair our Black Cherry Balsamic with our Meyer Lemon Olive Oil, the lemon flavor lingers nicely. “Nutty Strawberries”: The Roasted Sesame Oil and our Strawberry Balsamic vinegar create a nutty impact with a long-lasting flavor of strawberries. Fun for an Asian salad. “Sweet Walnuts”: Our French Roasted Walnut Oil is further enhanced when paired with our Pineapple Balsamic Vinegar. “Smokey Sweet Chocolate”: Strange but true, this combination of our Dark Chocolate Balsamic and our Chipotle Olive Oil is unbelievable! Simple rich chocolate with a smoky kick. “Orangie Chocolate”: This one is all about Chocolate and Oranges. Our Dark Chocolate Balsamic is paired with our Blood Orange Olive oil for a fun taste sensation. 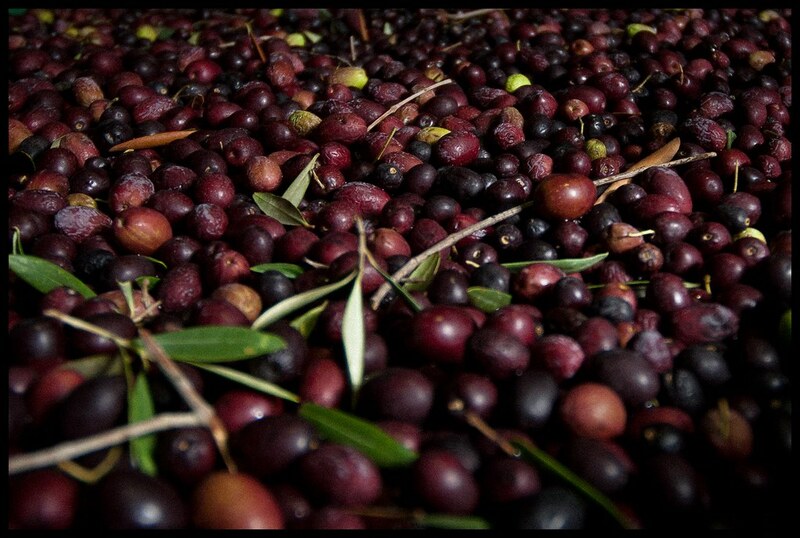 “Nutty Cherries”: Take our Black Cherry Balsamic and mix it with our French Roasted Walnut Oil. “Ripe Pineapples”: Our Basil Olive Oil and Pineapple White Balsamic create an initial sweet apple taste sensation with a ripe pineapple finish. “Hawaiian Tropics”: No it is not a place but a great combination of Persian Lime Olive Oil, Coconut White Balsamic and Pineapple Balsamic Vinegar. “Chocolate Raspberry Cordial”: This is actually a three way combination vs. a “pairing”. Our enticing Raspberry Balsamic Vinegar, our lush Dark Chocolate Balsamic combined with our Sweet Barnea EVOO. Truly a special chocolate treat. “Strawberry Basil”: Strawberry Balsamic Vinegar and our Basil Olive Oil combine for an intense strawberry start with a sweet basil finish. “Sweet Ginger”: A must have combination for any ginger lover. Our Meyer Lemon EVOO and Honey Ginger Balsamic combine for a unique flavor profile with an intense ginger finish. “Ripened Peaches”: Our Blood Orange Olive Oil when paired with our Peach Balsamic tastes like a perfectly ripened peach. The orange oil sits mysteriously in the background, only accenting the peach flavor. “Spicy Lime”: Our spicy Honey Ginger White Balsamic paired with our Persian Lime olive oil is sure to please your palate. “Peaches and Herbs”: An unusual but tasty marrying of our Peach White Balsamic Vinegar and our ever so popular Tuscan Herb Olive Oil. “Bittersweet”: The bitterness from our Grapefruit White Balsamic sweetens nicely when paired with our Meyer Lemon olive oil. “Sweet Ginger Lime”: Unlike our Honey Ginger Balsamic, our Blackberry Ginger is sweet with a hint of ginger and delicious when paired with our Persian Lime olive oil. “Pucker-Up”: Our Red Apple Balsamic paired with our Meyer Lemon olive oil may make you pucker...but it is sure to please. “The Godfather”: What more can I say, two of Italy’s wonderful staples. our Fig Balsamic combined with our Garlic olive oil, even the “Godfather” wouldn’t pass this one up. “Pumpkin Streusel”: Our newest balsamic, Pumpkin Pie Spiced Balsamic pairing with our Roasted Walnut Oil tastes just like a pumpkin streusel. “The French Connection”: Our Grapefruit White Balsamic surprises you when combined with our French Herbs de Provence olive oil. “Persian POMS”: Pomegranate Balsamic and Persian Lime olive oil taste like sweetened limes. “Apples & Nuts”: Red Apple Balsamic and Roasted Walnut Oil make a great pair. “Strawberry Lemonade”: Just as the name says...our Strawberry Balsamic and Meyer Lemon olive oil tastes great on a salad too. “The Nutty Pear”: The warmth of our Cinnamon Pear Balsamic Vinegar combined with our Roasted Walnut Oil is a delicious pair. “Orange Coffee”: One of our newest balsamics, amazing Espresso paired with our Blood Orange olive oil, the flavors explode. Deep, rich and citrusy. “Spicy Explosion”: Our Jalapeno White Balsamic and Garlic olive oil make a delicious spice combination. “Smokin' Hot”: Jalapeno White Balsamic and Chipotle olive oil is hot and smoky. “Ole”: Our Jalapeno White Balsamic paired with our Persian Lime olive oil create a wonderful Mexican flavor combination. The delicately spicy jalapeno and the citrusy lime tastes great together. “Coco-Butter”: Our sweet Coconut White Balsamic combined with our Butter olive oil is unique and yummy tasting. “Asian Fusion”: Coconut White Balsamic and Roasted Sesame Oil is great for any Asian inspired dish. “The Mediterranean”: Two wonderful staples of the Mediterranean diet or very healthy for you too, our Pomegranate Balsamic and Garlic olive oil pair nicely together. Garlicky, yet sweet at the same time. “Dreamsicle”: Remember the Dreamsicle ice cream bar? This combo tastes just like that...pure, spicy and delicate Vanilla Balsamic combined with citrusy Blood Orange olive oil create a heavenly combination. Takes you back in time. “Butter and Jam”: The combination of our Strawberry Balsamic Vinegar and our Butter olive oil tastes exactly like you are eating a piece of toast with butter and jam. “Razz-Otle”: Yum...sweet tart Raspberry Balsamic paired with our smoky Chipotle olive oil is awesome, especially as a marinade. “Frenchy”: When our Herbs de Provence olive oil and Tangerine Balsamic Vinegar are paired, you get a blend of French herbs with orange citrus flavor. Magnifique!! “Lotsa Lemons”: All I can say is our Meyer Lemon olive oil and Sicilian Lemon White Balsamic has a lot of lemon flavor. Definitely a must for the lemon lovers. “The Sicilian”: Who doesn’t love Garlic and Lemons? The Garlic olive oil and Sicilian Lemon combined makes you wish you were on the Isle of Sicily. Delish. “Sweet & Spicy”: is what you get when you pair our Pomegranate Balsamic and Chipotle olive oil. “Herbal Spice”: Herby, spicy and smoky are what you get when paired our Oregano White Balsamic with our Chipotle olive oil. “Smoky Citrus”: Tangerine Balsamic and Chipotle olive oil make a citrusy and smoky combo. Great for pork roasts. “Sicilian Blood”: Our mellowy sweet Fig Balsamic Vinegar takes on new blood when combined with Blood Orange olive oil. “Pumpkin Butter”: Pumpkin Pie Spiced White Balsamic paired with our all natural Butter olive oil tastes just like pumpkin butter. Yum!! “Oh My! Cherry Pie”: Black Cherry Balsamic and our Butter olive oil tastes just like a butter crusted cherry pie, oh my!! “Butter Cookie”: Our Vanilla Balsamic combined with our Butter olive oil is reminiscent of an old fashioned butter cookie. “The Pina Colada”: Our Pina Colada (which is a combination of our Coconut and Pineapple White Balsamics paired with our Blood Orange olive oil is sensational and tastes just like the drink. “Orange Maple”: We took our Vermont Maple balsamic and paired it with our Blood Orange olive oil for an unbelievably delicious combination. “Maple Walnut”: Vermont Maple balsamic paired with our French Walnut Oil...exquisite. “Maple Nut”: When our Vermont Maple balsamic is paired with our California Almond Oil it is reminiscent of Maple Nut Fudge. Of course, feel free to mix and match your own combinations. Most plain extra virgin olive oils pair well with all of our delicious aged balsamic vinegars.